Winter solstice is the shortest day and the longest night of the year. Traditionally, it is a time of both foreboding and expectancy, as the longest night leads to the return of the sun. Join us for our annual service as we mark the time when the sun stands still. 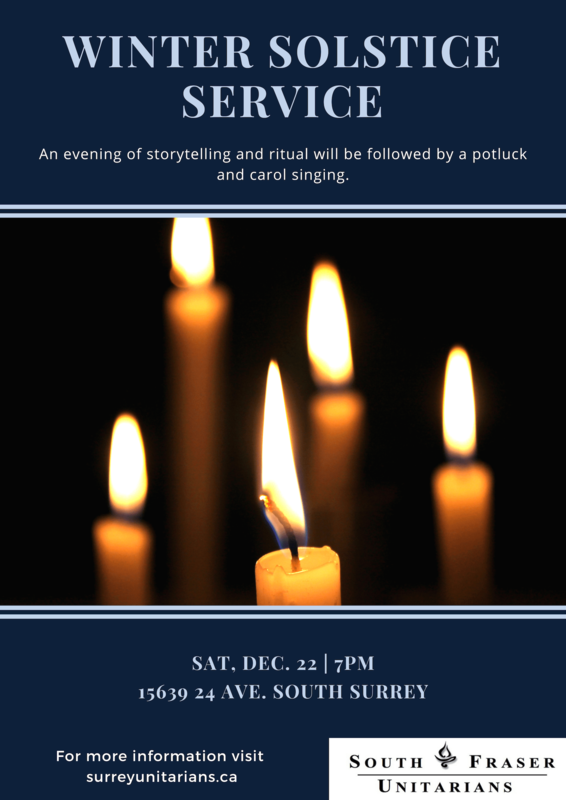 Join us after the service for some potluck Christmas baking and singing of carols. Families are welcome.